Samsung has killed off the Galaxy Note 7 in the hope of limiting the fallout from its exploding smartphone fiasco. The South Korean firm decided Tuesday to permanently halt sales and production of the Galaxy Note 7 just hours after telling customers to stop using all versions of the smartphone. 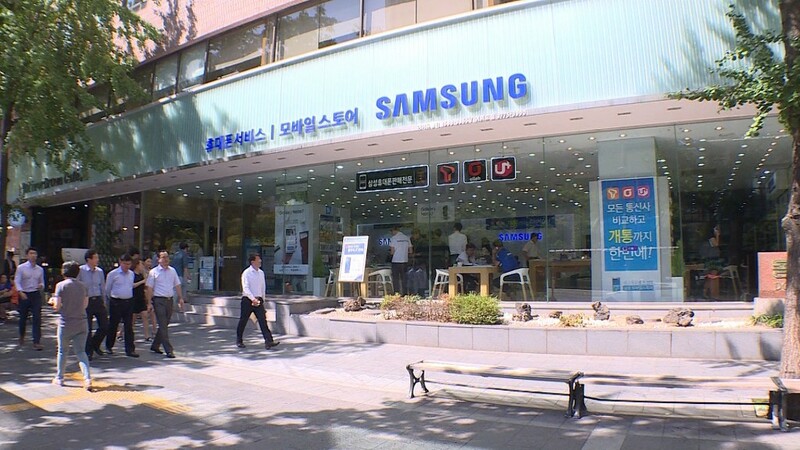 Its stock plummeted 8% in Seoul, wiping about $17 billion off the company's market value. The high-end phone was supposed to do battle with Apple's (AAPL) iPhone 7, but instead ended up doing serious damage to Samsung's reputation. 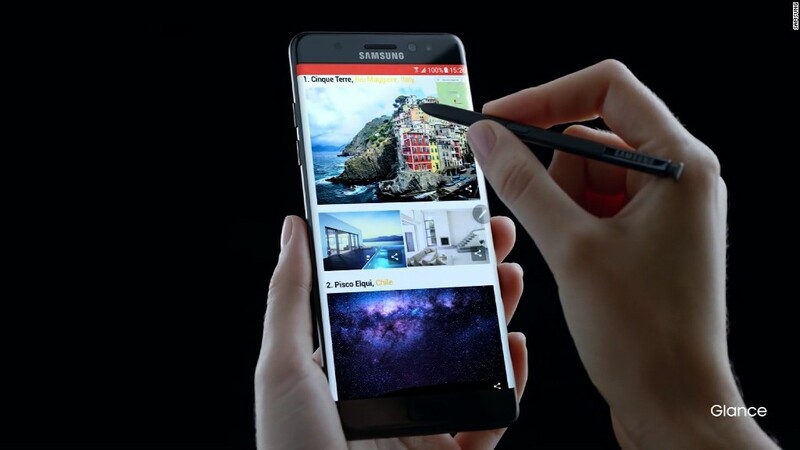 Analysts say Samsung's (SSNLF) move to ditch the Note 7 entirely would be costly -- it could put a $9.5 billion dent in sales and erase $5 billion in profits, according to one estimate. But the risk of prolonging the agony was worse. "It's a painful move but perhaps not an entirely bad one in the grand scheme of things, as it helps isolate and contain the bad perception to that specific product rather than spreading fear that all Samsung phones might explode," said Bryan Ma, vice president of device research at IDC. The credibility of the world's biggest smartphone maker was on the line after a series of missteps. 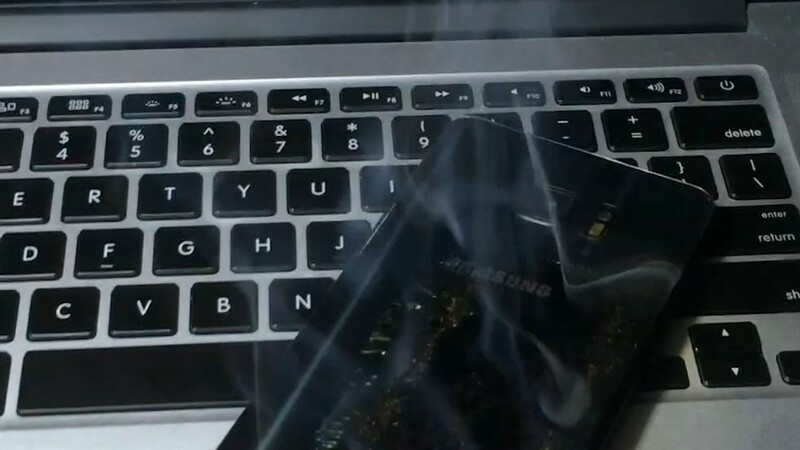 It was forced to recall about 2.5 million Note 7s in early September, just two weeks after the phone was launched, saying faulty batteries were causing some to burst into flames. 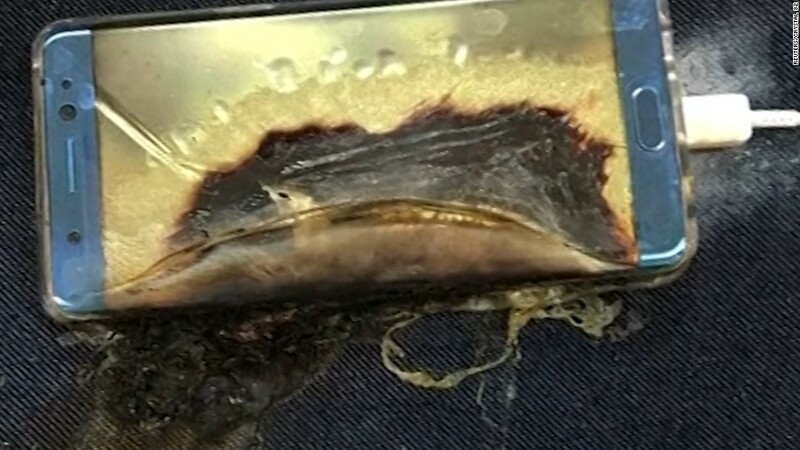 It then started to issue replacement phones but a number of customers reported that those devices were also catching fire, including one aboard a passenger jet. Samsung is now scrambling to limit the damage from one of the biggest smartphone recalls ever. Top priority will be to establish what exactly went wrong. The company initially blamed problems with a battery from one supplier. Experts say they believe a design flaw may have been responsible. "The discontinuation signals that the root of the problems does not lie in the production errors, but possibly in the product design," said TuanAnh Nguyen, a research analyst at Canalys. Mark Newman, a Bernstein analyst who covers Samsung, said the battery explanation did not add up. "There appears to be something else at play," he said. Once it's figured out the root cause, Samsung needs to be upfront with its customers. Otherwise the failure of the Note 7 could hurt sales of other Samsung phones and products. "Users are scared to use Samsung at all," Ma said. "Samsung said they fixed it, but the problems keep happening." Unless that impression can be corrected fast, the release of its next Galaxy S series model, which is expected early next year, could be tarnished. "Honesty and transparency is needed to repair the damage to its brand image," said Nguyen. "Failure to do so will create long lasting repercussions on its other product lines," he added, suggesting the company may even have to drop the Note branding altogether. It was not immediately clear what customers in other markets could expect in terms of a replacement or compensation. Analysts say as many as two million devices may still be in use around the world. Analysts at Nomura estimate ditching the Note 7 could mean $9.5 billion in lost sales and wipe out $5.1 billion of profit. "The majority of Samsung's profits are now generated outside of phones, predominantly from their strong component divisions," Newman said. "And within the handset division, the Note line is not the main driver of profit."